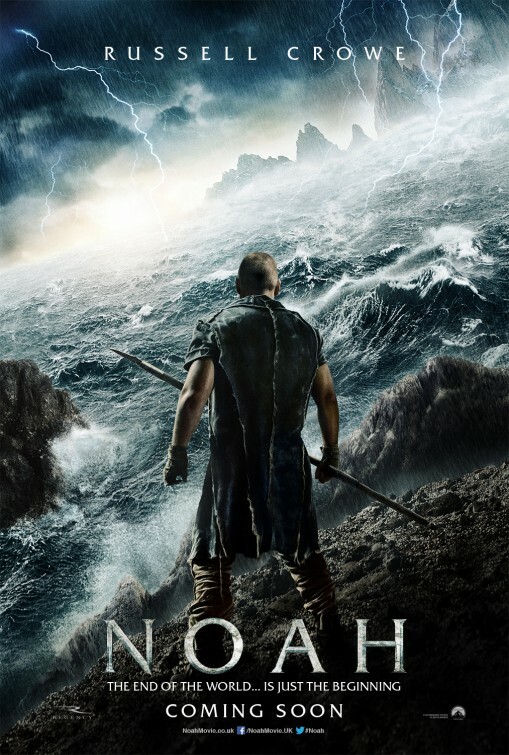 There's a moment in the first trailer for Noah that is an appropriate, though perhaps accidental, metaphor for what Darren Aronofsky has done with his latest film. It comes when star Russell Crowe is standing defiant in front of his massive, still-under-construction ark while a mob of countless people surround him, ready to kill him and tear his work to pieces. We're betting that's a little how Aronofsky has felt throughout this entire process, and particularly recently if there's any truth to the rumors that he's currently battling with Paramount over the final cut after the studio showed it to a few religious groups that didn't care for the film. And that's understandable. You can't make a movie about the myth of Noah building an ark to save humanity and a literal boatload of animals from an extinction-level flood caused by God and not immediately open yourself up to scorn. If you make a dramatic version that tells the story that most people first learned when they were infants, a huge chunk of the population -- religious or not -- is going to laugh at you outright. And if you try to spice it up with a lot of the even more fantastical elements of the story that are often glossed over, you risk the religious audience thinking you're making fun of them. It's a hard-win scenario either way, and until Aronofsky's film comes out and everyone sees what he's actually built, there's going to be a lot of people hating on it from all sides of the spectrum. And to be fair, Paramount isn't exactly doing the movie any favors with its marketing so far. The first poster was yet another generic, man-with-his-back-to-us design (Paramount already did this twice this year with World War Z and Star Trek Into Darkness) that didn't really convey any real sense of the film's tone. And the first trailer for it is alright, if you want a very basic "man builds boat, man loads animals, flood comes" story, but we also know that isn't exactly the story Aronofsky is telling. So until we start seeing some of the "11-foot-tall fallen angels with six arms and no wings" we wrote about over a year ago, we're going to hold off a bit on passing judgment on this one. Note: Embedded below is the U.K. trailer for the film, which will hit theaters on March 28, 2014. Here is the U.S. version.